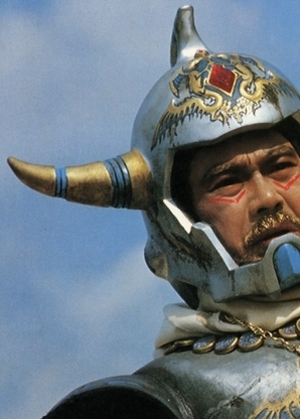 An Eternal Thought in the Mind of Godzilla: Starring Sonny Chiba as "Prince Hans"
Starring Sonny Chiba as "Prince Hans"
I once got into a pretty heated argument as to whether or not Sonny Chiba was in "Message From Space". Luckily my one-sheet American poster proved me right! You can barely tell it's him under all the makeup and helmet stuff, though. Well, this picture shows me something I had never known before, even with my first gen off Showtime VHS tape. I never, EVER clued in that Prince Hans had GOLD skin. I wondered why he wasn't silver like the other Gavanas. Now I know it's because he was gold. The power of books, man. That's why I love this movie. Gold skin? That makes about as much sense as anything else in Message From Space.